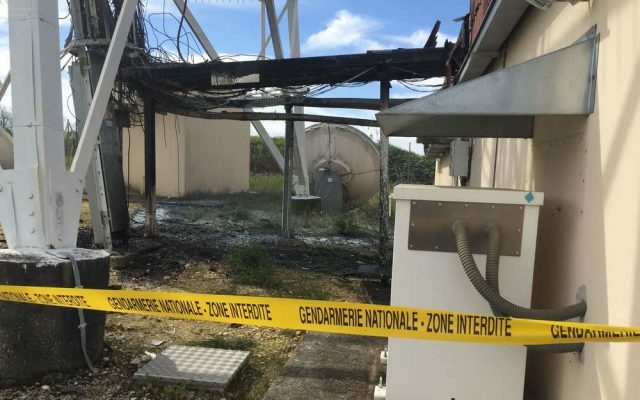 TDF, owner of the Saint-Saturnin site, are hoping for a recovery of TNT « by the beginning of next week », which will mean 6 days with no TV ! 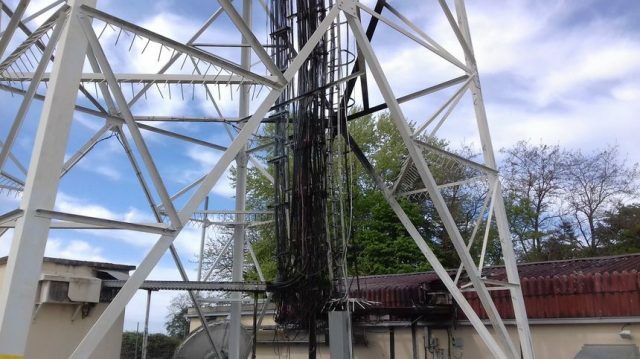 The SFR operator has been struck in particular: « About fifty of our antennas in Charente are connected to the Saint-Saturnin antenna », explained Guillaume Fauré, south-west regional delegate for SFR. 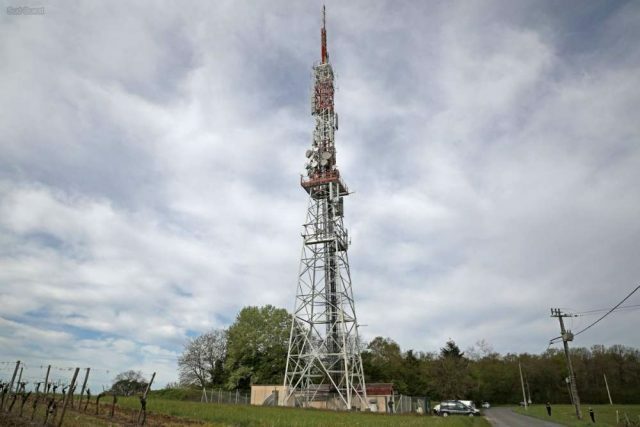 The situation is the same for Bouygues Télécom, who share the same network. In ‘The autism of the insurgents’ , among other things, Alfredo Cospito analyses the question of theoretical education through the texts of claims. It’s not a phenomenon of recent times that texts refer to other actions (https://chronik.blackblogs.org/?p=9086) . They have often written and still write, even if in a limited way, about more theoretical than practical aspects. The link between theory and practice is a problem which hasn’t lost importance in recent years and which we still face today. Why then not solve the apparent conflict between theory and practice once and for all? Why not realize the idea of taking communication through deeds to the extreme? Why not to transmit theory through texts and claims linked to continuing practice? 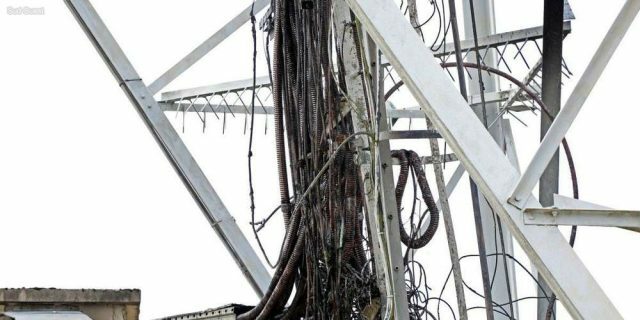 We see from the local papers that a telephone and television relay was burned in Terragnolo, in the Potrich area of Trentino, on April 16 at around 22.00. Tags « In solidarity with the anarchists in prison, against videoconferencing (which replaces transfers to court) and blocking of post » and « the spirit continues » were found at the spot. 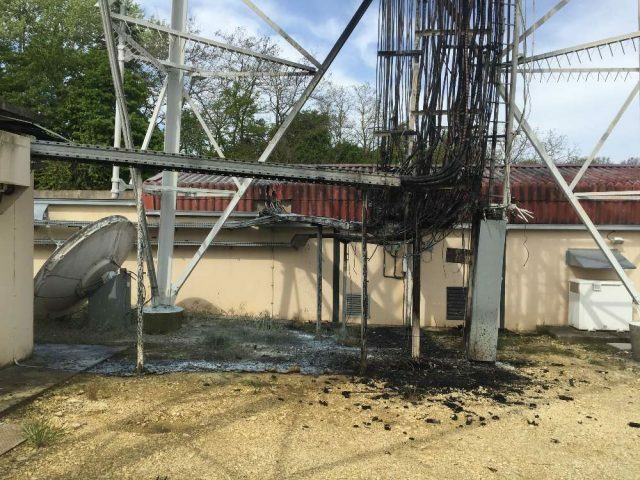 Of the four incendiary bottles used, only the one against the cables would have caught, the other three placed inside the electrical transformers having fizzled out “due to lack of oxygen” according to the carabinieri carrying out the investigation. It was a neighbour who noticed the flames from the road that called the fire fighters, who arrived too late to prevent many of the cables from being burned. This site is also among those selected to experiment with 5G in the area. Technicians managed to restore the television during the night, but the mobile telephony remained extremely disturbed. From 2008, the Belgian State started a large investigation aiming at different struggles – but always without concessions – against detention centres, borders, prisons and the world of authority and exploitation. anti-authoritarian publications (Hors Service, La Cavale and Tout doit partir), dozens of flyers and posters, more than a hundred actions, attacks and sabotages…in other words the fight against Power in all its different expressions. finally under the accusation of “criminal association” that 12 comrades will be on trial during the week of 29th April 2019. Repression is all forms of physical and psychological violence that are intrinsic to the daily enforcement of all states, of all democracies. The continuous expansion of its tools to punish, to persecute and to imprison is maybe its most obvious realization. omnipresent confusion that personal fulfillment happens through work and consumption is surely its greatest achievement. Each time we rebel, spit in the face of the moral colonization of this system, and sabotage it. Each time waves of revolt expose the limits of the control of the state, and render a complete end to it imaginable. Each time our actions discard the smoke screen of lies and make us sense that our freedom is to be found in attacking authority and not in obeying it. Repression has everything to lose. Solidarity with the anarchists prosecuted by the Belgian state. As has been explained various times already, between 2008 and 2014 the Belgian State conducted an extensive investigation aimed at the multiform struggles – with no concessions – which attacked detention centres, borders, prisons and this world based on authority and exploitation. Initially charged with “participation in a terrorist group”, it is now on charges of “criminal conspiracy” that the 12 comrades will be judged during the whole week beginning 29 April 2019. And as we are not Cathos the week will start on Sunday April 28 with a first encounter at 17.00 for a drink /bring-and-share snacks at the Acrata library. On to the bitter end ! This morning those who had arrived to visit at the women’s section of Rebibbia prison experienced in first person the moments of dismay and anger retold many times by those who, after travelling hundreds of kilometres in order to see their son, partner, father, etc. in prison… were told: ‘The prisoner is not here due to transfer’. ‘Transferred where?’ This morning the guards of Rebibbia replied: ‘To L’Aquila’. So we learned that first the one, then the other, then the third, all the three female anarchist comrades imprisoned in AS2 of Rebibbia were missing. And presumably all three were destined to L’Aquila prison. FAI / FRI Revenge Faction – Mikhail Zhlobitsky claimed responsibility for a grenade attack on the Russian embassy in Athens on March 22. The following is their communiqué. Each state seeks continuity, which is of particular importance both for its existence and for the preservation and expansion of its vital space. We define the vital space of a state structure as a concept that raises every economic and spatial interest. Applying this policy to us is what we commonly call imperialism. This policy is not a strategic choice of a state, but it is indistinguishable from its very existence. Automatically, each state applies or follows the imperialist policy of an alliance in that country. This position comes to overthrow the rhetoric of the holy fellowship of the smaller ones in dynamic states towards the more powerful ones, which the left has been trying to make for years and parts of the anarchist space embraces. Over the years, many alliances have been built up and, as a result, many skirmishes, depending on the interests at stake. Under the veil of these inter-axiomatic contrasts in combination with the economic and political conjuncture, discrepancies in the dynamics of each state are created or adjusted. Relationships between states have always been a dynamic condition that is modified on the subject rather than a static situation. Dans le petit extrait choisi et envoyé, la dernière phrase -comme dans le PDF- est évidemment “Ni de leur paix, ni de LEUR guerre, Hurrah !” (et pas “ni de LA guerre”). Avis de tempêtes, bulletin anarchiste pour la guerre sociale ! On March 18, 2019 the prosecution of our 5 comrades for the events of the May 1st NO EXPO demonstration that took a place in Milan, came to an end. The Italian court decided to cancel the trial on the basis that the 5 comrades have already been put on trial for the same offenses by the Greek courts, thus they can’t be tried again for them. The bosses and the local authorities of Milan, 10 years ago, decided to declare war on the poorer classes of the city by hosting the Expo for the needs of which they cemented thousands of acres of land, evicted social housing projects, commandeered workers’ strikes and more. Since the beginning, the people of the city reacted vigorously. They took to the street together, workers, women, young and old, resisting the (further) depreciation of their lives. They shouted and demanded that this Expo would not take place! S. has been in prison for a year. He was accused of setting fire to several vehicles of the Gendarmerie in Limoges on 18th September 2017, during the Quai de Valmy trial. We are of those who didn’t keep quiet in the face of this repressive operation. Today we won’t leave a comrade in the hands of the State alone. As a small gesture of solidarity with him, in the night of 26th March we set fire to two vans and a car of the Paris municipality, in Corvisart (13th arrondissement). Yesterday afternoon a comrade from Cremona was stopped by three police cars and two Digos officers outside a fascist’s home. In recent days the latter had made a show for some provocations. The cops tried to take the comrade away and meantime he was thrown to the ground when he refused to get into one of the police cars. A melee ensued, during which the window of one of the shits in uniform’s cars was smashed. The cops also used pepper spray against someone already in handcuffs. As the comrade was being taken away, a solidarity gathering formed outside the police station in Cremona so as not to leave the arrested comrade alone.